Ondo State Government said yesterday that presentation of Birth Certificate would now be a condition for enrollment of pupils into primary schools. Similarly, the government said presentation of same document is now a pre-condition for children under the age of five to access free medical treatment in the state. The state Governor, Mr. Oluwarotimi Akeredolu, stated this at a stakeholders meeting on Accelerated Birth Registration, an initiative of his wife Betty Anyanwu Akeredolu in Akure. The governor said the steps became necessary to assist the state in planning for the future of the children. “We will provide policy statements that will ensure effective registration of children so that they can have better lives. He said lack of well-functioning birth registration system had made it impossible for both federal and state governments to adequately plan for its citizen, especially young children. 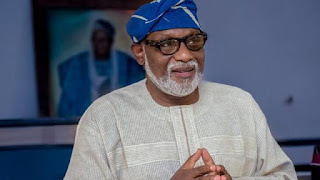 Akeredolu said birth certificate would provide documentary evidence required for relevant occasions, such as school enrolment, voting and graduation saying this will give right of identity to the children. He, therefore, called on community leaders to play a positive role in ensuring that new births are registered in their communities. The governor called for synergy with the National Population Commission (NPC) and Ondo State Primary Health Care Development Board to ensure accelerated birth registration in the state. Wife of the governor, Betty Anyanwu Akeredolu, said that little attention was being paid on birth registration in the country adding that government had shown little commitment to ensure that no child is deprived of the right. “It is very sad to note that in our country, Nigeria, the birth of more than half of children under age five are not registered while only one woman out of four women who has a child under age five knows the process of registering the birth of that child. “More saddening is the fact that Ondo State has one of the worse birth registration coverage in South-west as only 68 per cent of our children are registered. 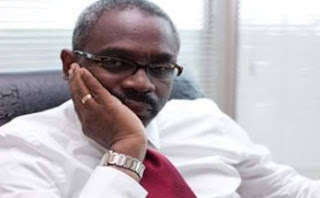 Health commissioner in the state Wahaab Adegbenro said one million children in the state are unregistered noting that parents wait till their children wanted to travel or gain admission before seeking to register them.